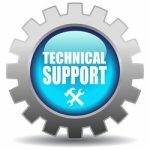 Welcome to our tech help service page, here you can submit your specific appliance repair help questions and they will be answered within 24 hours (usually much quicker) if you have paid for our Tech Help Service. Please keep in mind that the payment is for one appliance only and that your question time frame is only good for 15 days so be sure to submit your questions promptly in case you need further help later. For general repair questions feel free to submit a question to our free appliance repair question page, Thanks. Washers, Dryers, Refrigerators, Freezers, Ovens, Ranges, Dishwashers, Microwaves, & Ice Makers. about possible repair help for your unit. Give us the model number of your appliance so that we can be specific to your units repair. Let us know when you will be available for a live chat session to discuss your appliance problem and then a guide will be written specific to your needs within 2 hours of that chat session. If you are detailed enough in the explanation of your problem when you fill out the form below a live chat session will not be necessary before your repair guide is written (allow 24 hours) and you can ask any follow up questions you need to via email or if you prefer , live chat after you get the guide via Email. All guides will be in .pdf format. If a tech gives you repair information during live chat a transcript of the chat session will be emailed to you after the session ends. If you see the live chat icon (online now in the bottom right of your web browser) then a technician can help you now. The time frames given are just estimated, in most cases it’s usually much faster. If you have not been contacted or have not received your repair help in the time stated then you will get a full refund via Paypal. Thank you for using our tech help service and remember if you see the live chat icon displayed you can also chat with a technician live right now.